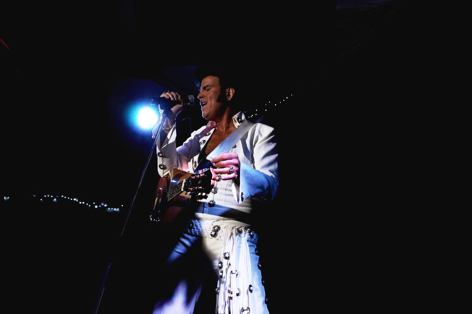 Marking the King of Rock and Roll’s eighty-fourth birthday, P&O Cruises today announced a ‘Tribute to the King’ cruise has been made a must-do feature of its exciting 2020 program. P&O’s third ‘Tribute to the King’ celebration at sea will be the central theme of a four-night Pacific Explorer cruise to Moreton Island departing from Sydney on May 17, 2020. The cruise is already available for all those diehard fans who still refuse to believe that their rock and roll idol ever ‘left the building’. Even better, the tribute cruise is being offered with P&O’s legendary $1 deposit deal. The 2020 cruise follows the resounding success of the first ‘Tribute to the King’ cruise on Pacific Eden last year and the growing excitement surrounding this year’s tribute onboard Pacific Explorer from Sydney in May. P&O Cruises President Sture Myrmell said it was entirely appropriate to announce the 2020 ‘Tribute to the King’ cruise on the rock idol’s 84th birthday marking his humble origins in Tupelo Mississippi where he was born on the poor side of town in a tiny ‘shotgun’ house on January 8, 1935. The family later moved to Memphis Tennessee where record producer Sam Phillips of Sun Recording Studio fame ultimately ‘discovered’ the King of Rock and Roll and his sensational fusion of rockabilly and rhythm and blues music styles. “As we discovered with the first of the Tribute to the King cruises last year, the King’s unique showmanship and the power of his music are still alive and well more than 40 years after it was claimed he had left the building,” said Mr Myrmell. “The Tribute cruises, with their wall-to-wall tribute artists presenting everything from his best known hits to his love of gospel music, have become a phenomenon in their own right. “Loyal fans of the King of Rock and Roll are already strongly supporting this year’s tribute cruise and we are delighted to now offer the third in the series in 2020. “The four-night itinerary from Sydney to Moreton Island is perfect to enjoy the best in rock and roll music along with the many attractions of such a fabulous destination. This cruise is not officially endorsed by or connected with the Elvis Presley Estate.